Come see the animal with the eternal smile! Whether it's your first or 100th time seeing dolphins, you'll truly have an experience of a lifetime. We never know what we will see in Nature's Theme Park, the Nature Coast of Florida, we truly never know what exactly may come into view. 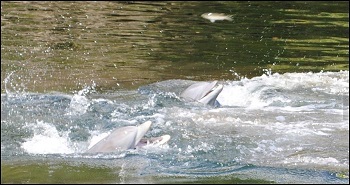 We often do see Bald Eagles, Osprey, Tarpon, Otters, several birds, and of course, the eternally happy, Bottlenose Dolphin. - you get to experience something new every time. 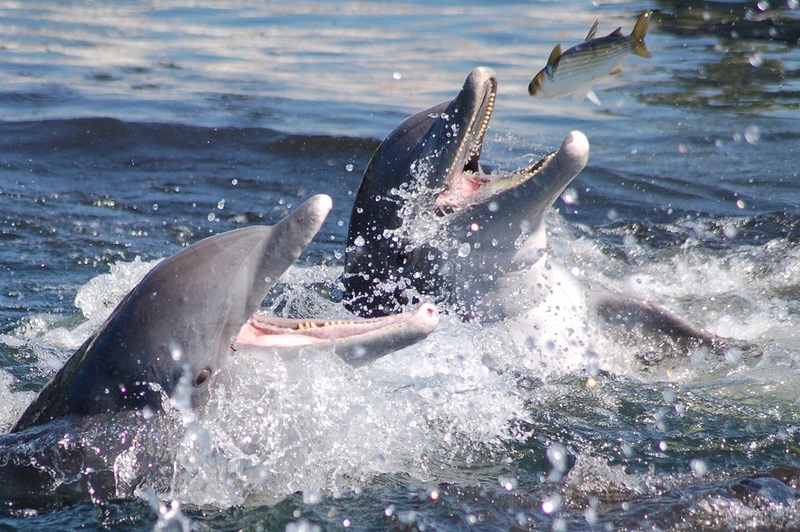 Let us be the company to take you to see the dolphins frolick, jump, splash feed, play and swim in their natural environment, in the Gulf of Mexico, in Homosassa, FL. We have pledged to follow all Marine Mammal viewing specifications, as we ensure all the wildlife we see is not disturbed by our presence.